Plain or toasted it’s a perfect breakfast treat! 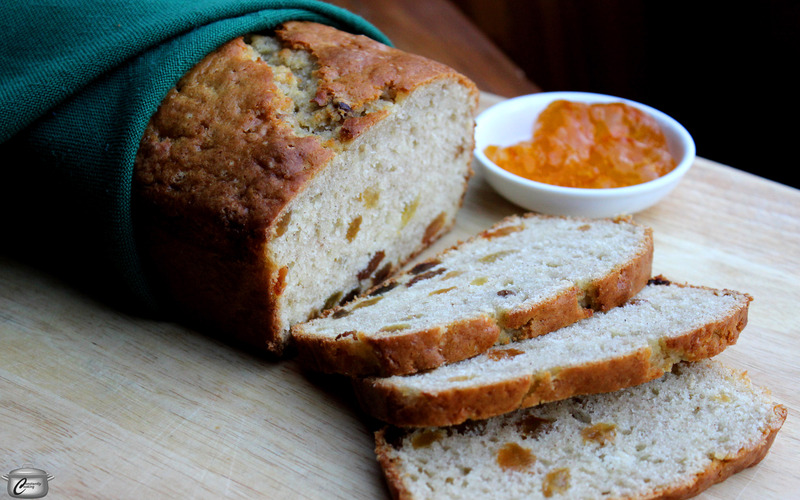 This delicious, dense breakfast bread also goes by the amusing name of Spotted Dog, thanks to the raisins. Traditional Irish soda breads typically were made with fewer ingredients, out of necessity, but I’ve refreshed an old recipe to suit modern palates. 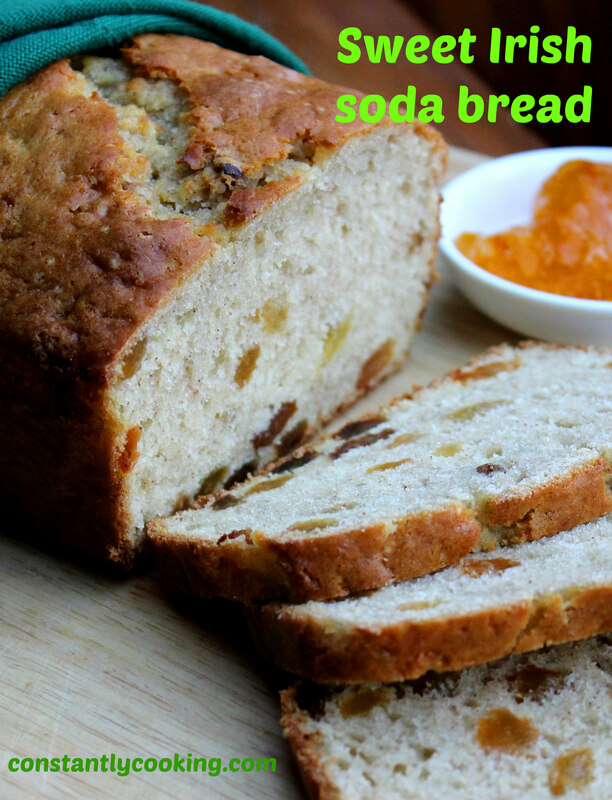 There are as many variations of soda bread as there are leprechaun stories, but this is the one my family likes. Whether you enjoy it fresh out of the oven or lightly toasted, be sure to spread each slice generously with butter and jam for an authentic Irish taste experience. Line a 9 x 5 inch (23 x 13 cm) loaf pan with parchment paper; set aside. Stir together the flour, baking soda, cream of tartar, cinnamon (if using) and salt; set aside. In a medium bowl (use a stand mixer if you have one), cream together the butter and sugar until smooth. Beat in the eggs one at a time, then stir in the buttermilk until the mixture is well blended. Add the flour mixture to the buttermilk mixture and stir until just blended. Fold in raisins. Bake for 50 to 60 minutes, or until a toothpick inserted into the highest part of the loaf comes out clean. Store the loaf, well wrapped, at room temperature for up to 3 days, or slice and freeze for up to 3 months. This entry was posted in baking, Breads, Breakfast and tagged baking, bread, bread with raisins, breakfast, buttermilk bread, Irish, Irish food, Paula Roy, quick bread, soda bread, St. Patrick's Day, St. Patty's Day, traditional Irish meal. Bookmark the permalink.